You’ll notice this headline says the Wizbook800 is an Eee PC competitor, not a killer. That’s because this little computer from Red Fox Technologies may come in a small, lightweight case and feature a nice roomy(ish) 20Gb hard drive. 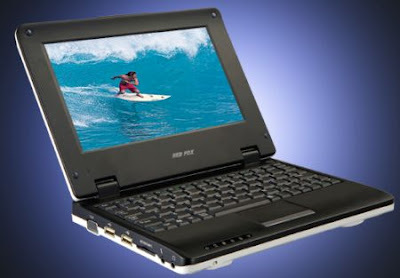 But it packs a sluggish AMD LX700 400MHz which is going to have a tough time keeping up with the 900MHz Intel Celeron chip in the original Eee PC or the Intel Atom CPU that Asus will include in the upcoming Eee PC 901.